This photo album features a leatherette cover with gold stamping. The 3-ring binding accepts refills (Style No. Photos are displayed three per page. Archival, photo safe: acid, lignin and PVC free. ). This popular Pioneer mini-max album features a simulated leather cover and holds up to 100 4x6 photos. 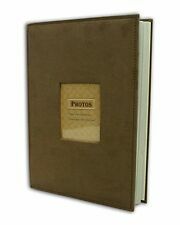 This inexpensive photo album, slide in picture type of photo album, will save your pictures and will save your money. Mini size, Elegant design and Charming look, front pocket on the album is designed to let you show the most beautiful photo. 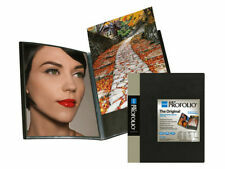 Fast-Stick magnetic pages feature a clear plastic overlay that self-adheres to the page, securely holding photos. 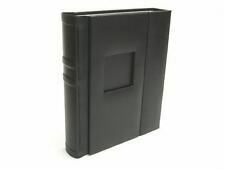 Initially contains 100 pages (50 sheets), plus 3-ring binding accepts refills (Style No. ). Cover Material: Paper printing pattern. Usage: Insert type side 1 photos (vertical release photos). 1 x Photo Album. Storage photos well by put them in it. The colors may be a little difference for the different monitor display. This compact photo album features a removable front and back cover that allow users to personalize their photo book by adding a photo to the front or back cover or by distinguishing it with a piece of personal artwork. 100 picture Photo Album. Album Size 5" x 6.5". Detail about this album - Inside pages can be removed. You can place 1 photo (4 x 6" / 10.16 x 15.24 cm) per page and a maximum of 100 photos in the album. Photo album. 1 Photo per Page. Holds up to 100 Photos. Leatherette Cover with Brass Corners. Heating And Cooling Supplies. Assorted styles/colors. 100 photo capacity. Archival, acid free, photo safe. 4" X 6" photo size. 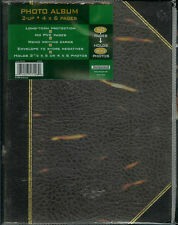 Features a simulated leather cover. All Categories. NO STYLE/COLOR CHOICE. 6-1/2" X 5-1/8". The front cover of this album features an ivory satin bow, an embossed damask print, and an ornate, scalloped. Each album can hold up to 160 photos. opening to a photo window. Bow & Photo Window. Photo Window. 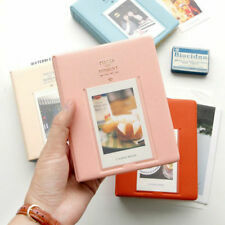 Material: PVC (Plastic) hard cover and transparent plastic slides as photo cover pages inside. Capacity: Holds 64 pieces of photos or cards, 32 pages, and 2 per page. They are a bit dusty in places, but should clean up fine. The sleeves each hold 6 photos (both sides) and will take 3x5 pics with a little extra room. If I counted right, there are 63 sleeves total. Tab goes into loop in front to keep album closed. Small pocket inside top cover holds extra pictures.Clear sleeves for easy viewing and organization. Poly synthetic leather album. Clear sleeves for easy viewing and organization. Smallest enough to carry with you, to show off those wonderful picture you are pride of. Buy on for you and give one as a gift. Holds 300 Photos Up to 4x6 Plus Panoramic 4x12 Prints. 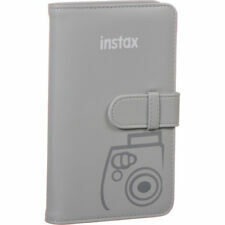 Patented Bi-Directional Pockets Hold Photos Horizontally or Vertically. Optically Clear Pockets Securely Protect Photos. Part: BDP35/BB. WHO WE ARE. If you're an amateur or a professional, nothing is more important than keeping your Polaroid photos safe yet easy to display and show to others. Don't get stuck waiting for weeks when you can have your photo album in your hands in a flash! 1-Up album holds 100 photos up to 4x6. This photo album features a designer cover and book style binding. Photos are displayed one per page. Archival, photo safe: acid, lignin and PVC free. Book style binding. Photos are displayed three per page. Photo safe: Acid, lignin and PVC free. This photo album features a designer cover. The 3-ring binding accepts refills (style no. photos are displayed three per page. Archival, photo safe: acid, lignin and PVC free. 3-up album initially holds 504 photos up to 4"x6". ). 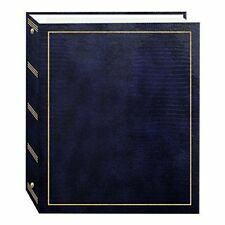 This photo album features a leatherette cover with gold stamping and book style binding. Photos are displayed one per page. 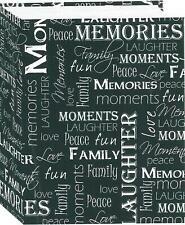 Archival, photo safe: acid, lignin and PVC free.Photo Album Organizer Wedding is good choice for you! With a stylish nylon stitching and value price, theArt Profolio Evolution fromITOYA is the next big thing in art and photo storage! 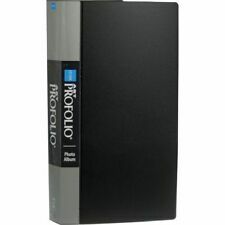 Along with its sibling, the Original Art Profolio, the Art Profolio Evolution is the only storage and presentation book of its kind. SEALED ON 3 SIDES SO PHOTOS STAY IN PLACE. 3 PLY POLYPROPYLENE PAGES. Book-Bound Style. Clear Pockets. Side Loading Pages. Trending at $11.95eBay determines this price through a machine learned model of the product's sale prices within the last 90 days. VINTAGE Magnetic Photo Album Blue New Sealed 20 Pages up to 8" x 10"
20 pages (10 sheets). Needs no glue or corners. Perfect for sharing pictures when on the go or storing them when space is tight. Detail about the album Color: Brown, Blue, White. Material: Artificial Leather. The artificial leather cover will prevent it from the water. Photo safe: acid free. Bright blue color. Heavy duty storage box. Photo safe: acid free. Protect your pictures and organize them with this 1,600-Photo Organizer Case. Each inner case can holdone hundred 4" x 6" photos. Outer case has a sturdy handle for easy transport and a stackable surface so you can order more than one to hold your entire photo collection in a small amount of space. Can write words, graffiti painting, a unique DIY gift! Material: High-quality Paper. A Set of Pen. Size： Cost box size:16 16 16cm. Middle small box size:7 7 7.5. Small table or desk top photo album that holds 36 photos. Teachers, take photos of your class throughout the year and present each student with a small album at the end of the year. Great Cricut project. Both photo albums and boxes allow people to store their pictures in a place away from light or dust. Albums can also be used to mount your photography and display it on decorative pages. They come in many sizes and shapes, ranging from a small portfolio that hold a few prints to a massive box that holds hundreds of photos. What is an archival quality album or box? Some manufacturers also call an archival quality album or box "photo safe." They are essentially picture storage items that can hold photos for long periods of time without damaging the pictures. Archival quality items will be free of acid, lignin, PVC, and other materials that may degrade picture quality over time. 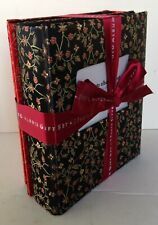 What styles do photo albums come in? The exact color and dimensions of albums do vary, but they all tend to fall into a few main design categories. Faux book: These are covered to look like antique books. 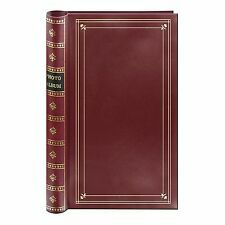 They tend to have thick spines, leather or cloth covers, and gilt details. Some may allow you to adjust the amount of pages within the scrapbook. Wedding scrapbooks: Wedding albums are traditionally shades of white or ivory, and they have gold and silver designs occasionally. Baby scrapbooks: These designs are typically in bright or pastel colors, and the pages and covers include baby designs. Portfolios: Portfolios have a flatter silhouette, and they tend to not have any detailing or designs. How do you store photos in albums? The method for placing a picture in a photo album will vary depending on what type of album you select. Dry mount: This style of album has small pockets that you can slip each corner of a picture into. They are normally sized for standard 4 by 6 photos. Self-adhesive: These have small sticky spots where you can stick a photo to the page. Slip-in: Plastic pockets or mats in these photo albums let you slide your pictures into the pockets. Stick-on: Some photo albums may not have any mounting or storage option included. Instead, they simply have plain pages of paper, and you can use your preferred adhesive to mount the pictures on the pages yourself. What size pictures will fit in an album or box?